Professor Reginald Ruggles Gates was an anthropologist, biologist, geneticist and botanist living from 1882 to 1962. "A Botanist in the Amazon Valley", sub-titled 'An account of the flora and fauna in the land of floods', is an important account of Ruggles Gates's travels in the region in 1925. Excepting the first chapter detailing his journey across the Atlantic, the book recounts travel to Pará, Manaos and Teffe by boat, with comments on the people, flora & fauna, and details on palms and other trees. At Teffe, the author compares the conditions with those described by H.W. Bates 70 years before. 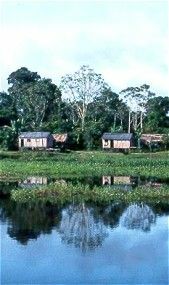 Pisces Conservation are delighted to release "A Botanist in the Amazon Valley" on CD, for Windows PCs and Macs, with fully searchable text and hyperlinks for ease of navigation. The book includes 10 photographic plates and a map of Amazonia showing the author's journey.